I have always struggled to find a good shampoo / conditioner combo. My hair always looks shiny and clean for about a day until the oil slick kicks in and it looks dirty and lifeless (cue my trusty top knot!). But I have finally found a solution and it is the Kristin Ess Leave-In Conditioner which is now available at Priceline. In this blog post I am going to share my review after trialling this leave-in conditioner spray for the past 2 months. If I could encourage everyone to have one thing, it would be this. I can't even do hair without leave-in spray. Make sure you apply it to super-wet hair right out of the shower because it's just not the same when applied to partially dried hair. Towel or t-shirt dry, then use 3-10 sprays, depending on the thickness of your hair. Perfect for detangling and adding weightless shine. Our proprietary strengthening complex designed to "zip-up" split ends while targeting weak areas of the hair, smoothing the appearance of damaged cuticles and helping to protect hair from environmental stressors and colour fade. To give you a bit of background information on my hair, it is colour treated, fine and tends to get oily through my roots quite quickly. The way I incorporated the Kristin Ess Leave-In Conditioner into my hair routine was simply by swapping out my conditioner and solely using this. It has truly made all the difference as I found other conditioners were weighing my hair down and making it look and feel oily fast. 1. Double shampoo my hair using the Maui Moisture Thicken & Restore + Bamboo Fiber Shampoo, ensuring I am building it up into a nice foamy lather each time before thoroughly rinsing off. 2. After showering and while my hair is still soaking wet, I apply 6-7 sprays of the Kristin Ess Leave-In Conditioner all over my hair. 3. I then wrap my hair up in a towel for 3-4 minutes, towel dry, comb through and leave to air dry, Sometimes I blow dry but not very often tbh. Once my hair is dry the results are immediate! My hair feels soft, smooth, and it smells great too. I have found since switching to this routine I can now wash my hair every 3-4 days rather than every 2 days like before. I definitely can’t see myself swapping this routine any time soon, this is the solution I have been searching for and it is working wonders for my locks! The Kristin Ess range has finally landed in store and online Priceline and not a minute too soon! This affordable range is extremely popular in the States and I can see Australia falling head over heels for it too! I also had the pleasure of meeting Kristin at the recent Priceline Beauty Prescription Live event and she was absolutely gorgeous as is the rest of her packaging! 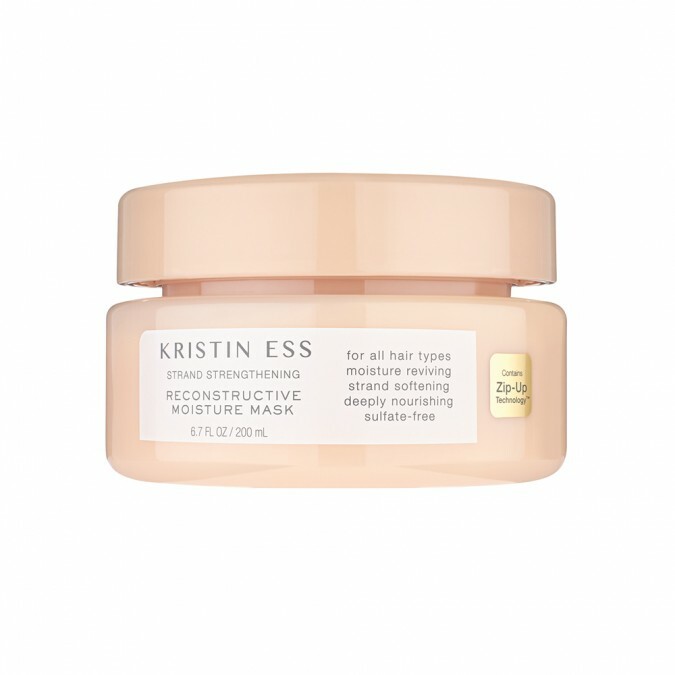 Have you tried the Kristin Ess hair range before? Let me know your must have product in the comments below so I can check it out!